Today’s the day, so chances are you’ve already got your game plan in place for your 4th of July party. 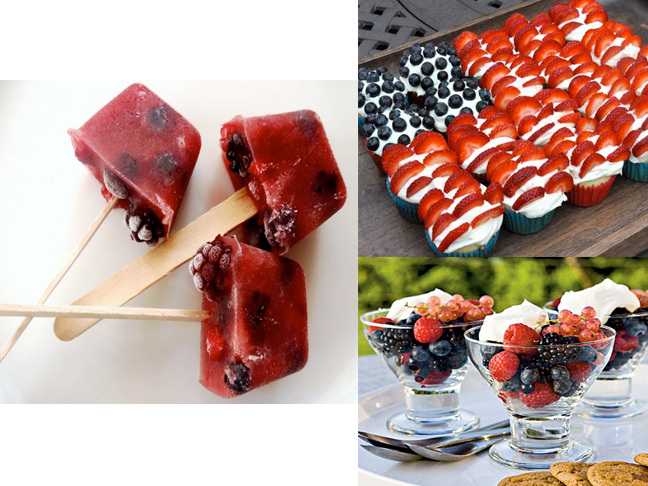 But if you’re still stumped about what to serve for dessert, here are some last minute, quick and easy ideas that are not only delicious, but they’ll also look great with your patriotic party theme. Summer berries are always a treat and their antioxidant qualities can be a great asset to your health too. 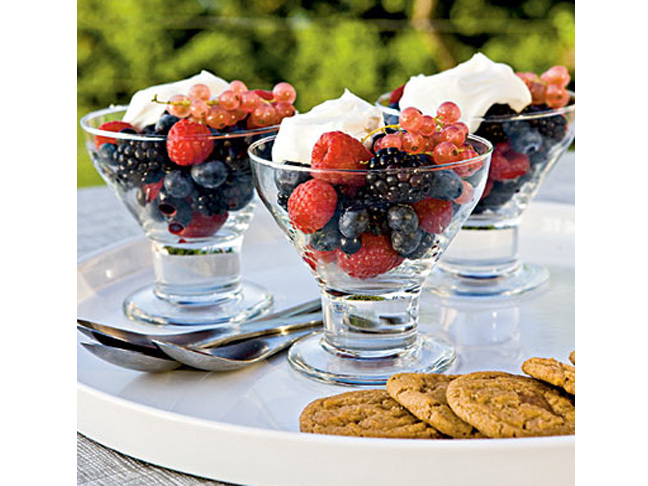 So if you’re out of time and looking for an amazing dessert that can be easily assembled in a matter of minutes, give these Berry Mascarpone Parfaits a try and you won’t be disappointed. 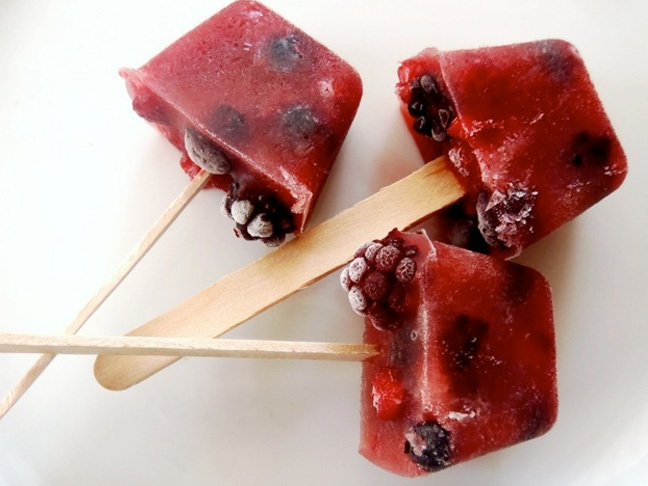 You can use almost any kind of berries to make these Pomegranate Berry popsicles, or you can mix up a combination of your favorite varieties to make an even more colorful presentation. Each pop is formed using refrigerator ice trays, so the freezing time takes only about an hour and 15 minutes….depending on how cold your freezer is set. And you’ll feel good offering these pops to your kids as snacks too, since all of the ingredients are natural and fresh. Cupcakes are always a winner, and not just with the kids either. I love this idea for a Flag Pull Apart Cake, because you can make it by using a Simple Vanilla Cake recipe or just grab your favorite kind of cake mix to use from the market. The rest is mainly about the berries, so you can choose blueberries, blackberries, strawberries or raspberries to create the look of this themed flag presentation. And if you’re running out of time, the kids can have fun by helping you garnish the berries on top of the icing of each cupcake. 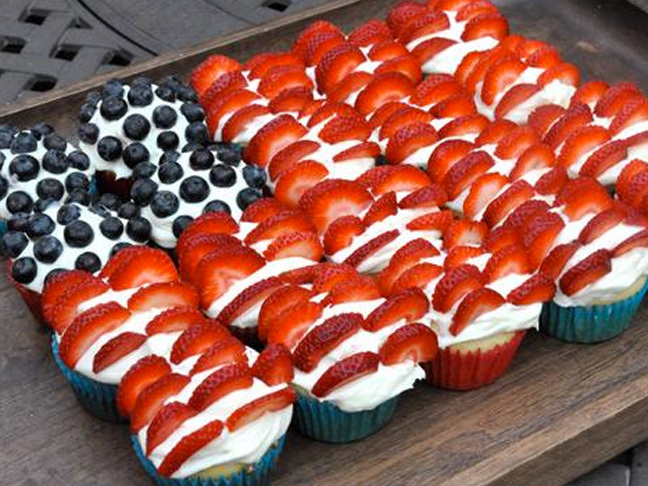 Or if you choose, you could also make a similar creation, by baking your cake into a rectangular 13 x 9 sheet cake, icing it and then garnishing with berries to create a similar flag motif.